Strictly Smokin have done it again ! 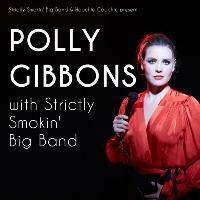 Hot off the back of JazzFM's 'Vocalist of the Year' nomination & gigs at Montreal Jazz Festival, Polly Gibbons ! Strictly Smokin have done it again ! Hot off the back of Jazz FM's Vocalist Of The Year nomination & appearances at Montreal Jazz Festival, New York's Birdland, Polly Gibbons comes to Hoochie Coochie with SSBB ! A major coup.